Using ultralight backpacking gear can make your backcountry camping trip more comfortable and enjoyable than if you haul a heavy pack filled with standard camping equipment. An ultralight pack may even help you to cover more ground in less time. Some of the heaviest backpacking necessities will include not only your backpack, but also your sleeping bag and pad, your tent, and even your footwear. Selecting lighter versions of these items will make your trip less laborious and more enjoyable. REI.com has a great selection of products for all your hiking and camping needs. Western Mountaineering makes fantastic light-weight sleeping bags. You can find a retailer near you by looking on their dealer page. Campmor.com has a terrific selection of ultralight packs as well as anything else you will need for your backpacking adventure. There are several items that are essential when it comes to purchasing ultralight backpacking gear. A few of the items you will need including a lightweight backpack, sleeping equipment, a lightweight tent or other shelter and quality boots that fit properly. Ultralight backpacking camping gear will, of course, include a backpack to carry your camping gear. If you hike long distances you will especially appreciate having one that is very light. Even for short distances, a light pack is less of a burden. There are internal frame backpacks and external frame backpacks. Each one has certain advantages and many people feel strongly about one or the other. Ultimately, the choice is yours, but the choice will be easier to make if you know a few things about each type. You may decide to get both so you can use one or the other depending on the type of hike you have planned. This type of frame holds your pack closer to your body, evenly distributing the weight. This can mean less fatigue with more of your body carrying the load instead of just your shoulders. Most internal frames are made of plastic, making them more comfortable to wear than external ones. It allows you more agility as you navigate through difficult trails. You won't be as likely to get hung up on low branches with an internal frame pack. Disadvantages of an internal frame are that they aren't as easy to pack and you will have a tendency to walk hunched over while wearing it. This can get uncomfortable, and you may miss out on some beautiful sights when you are looking down at the trail. Popular internal frame brands include McHale Packs, Cabela's Ultralight Extreme Hunter Pack, and Osprey Atmos 65. An external frame doesn't rest against your body so you will be cooler while you are hiking. Because they are more rigid, they are easier to pack than units with internal frames. Many are lighter than an internal frame packs because they have less padding. An external frame can make it easier to carry a heavy load. You will walk straighter with the weight of your load being carried higher on your body. You may be able to carry more by hanging things on the outside of your pack. One disadvantage of an external frame is that you cannot be as agile when wearing this type of backpack. Because of this, you may have a bit of difficulty navigating an overgrown trail when wearing this type of pack. Popular external frame brands include Zen Backpacks, Kelty Backpacks, and Luxury Lite Stack Pack. You can also reduce the weight of your backpack by packing lightweight sleeping gear. A warm sleeping bag doesn't need to be bulky and heavy. Of course, weight will depend on the conditions that you will be sleeping in. A sleeping bag designed for cold weather camping in Alaska will be heavier that a summer weight sleeping bag. You can, however, find a good, three season sleeping bag that is light and easy to carry. Sleeping pads can also be light-weight. You have a choice here between closed-cell or open-cell sleeping pads, air mattresses, cots and self-inflating pads. Cots, air mattresses and self-inflating pads tend to be a bit heavier than other options, so you may not want those if you are trying to lighten your load. Open-cell pads are inexpensive as well as light and comfortable. They are, however, a bit difficult to pack because they are bulky. Also, they tend to absorb moisture which is a definite down-side. Closed-cell pads are more durable and provide a better value than open-celled pads do. They are also not absorbent, which is good, but they are not as cushy, which may not be good. To save some weight with your sleeping pad, consider a three quarter length pad. Don't forget to make sure it will fit correctly in your tent! Popular sleeping equipment includes Eureka Mummy Sleeping Bags, ProLite Gear and Nunatak's Arc Series. 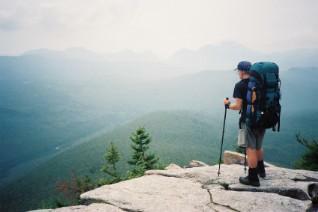 There are many shelter options for backpackers to consider. If you want to go super-light, consider making your own shelter with a good tarp or sleep under the stars. If you don't want to rough it quite that much, consider some of the many lightweight tents available. Be sure to consider how many people will be using the tent before choosing one. If it is only you, something very small should be sufficient. Solo tents or bivy sacks and shelters are perfect for one person to rest for the night, but if you want to spend a bit more than sleep time in your tent, or if you have a companion, you'll want something a bit bigger. Whichever you choose, be sure that the poles and stakes are made of a light-weight material as well. Popular lightweight shelter choices include the Eureka Solitaire, Big Agnes Copper Spur and Ledge Scorpion tent models. Having lightweight hiking boots is a sure way to increase your mileage. The type of boot you select will depend on the type of use it will see. Short day hikes require less durable footwear than more extensive, off-trail hiking. Proper fit is essential. An uncomfortable shoe will make for an unpleasant hike. Try on various styles and brands with the same kind of socks that you will be wearing for your hike. Do not purchase from an online site unless you have tried on the exact pair you are ordering and are certain that it is a good choice. Nylon mesh and split-grain leather will be your lightest weight shoes. Many of them also have a waterproof barrier to keep your feet dry and comfortable. Other materials are not as light, but will give you a longer lasting boot. Popular lightweight hiking boot brands include Scarpa and Merrill. While the items listed here are the most basic items that every backpacker needs, they do not represent the full spectrum of items that are available and that you my want or need. Look for gear that will meet your backpacking needs, taking into consideration when and where you will be traveling. Talk to other backpackers about their favorite lightweight brands. In addition, read reviews online at sites like Backpacker, Trailspace, and Gear Review. Choosing the proper equipment will help you find success in your backcountry adventures.